Guess what day it is! 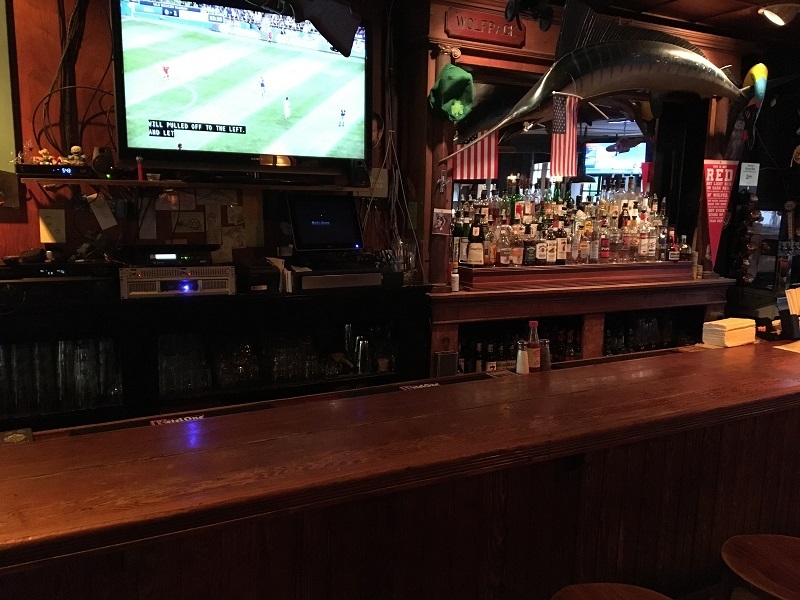 It’s Tasty Tuesday and this week’s featured restaurant is Mitch’s Tavern. 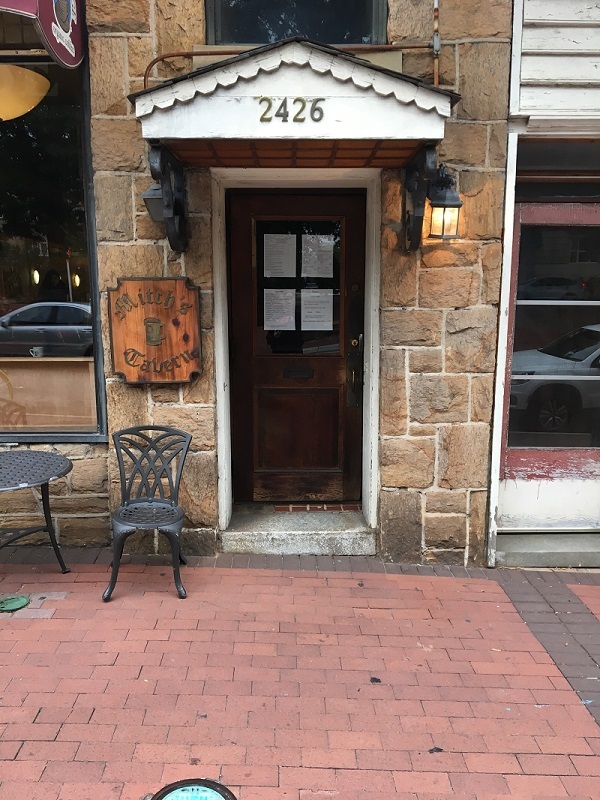 Mitch’s Tavern is a hidden gem exclusive to Hillsborough Street, with an average 4.5 star rating on Facebook. As a college student who has grown accustomed to a diet of ramen noodles and easy mac, I was more than excited to give this restaurant a try. 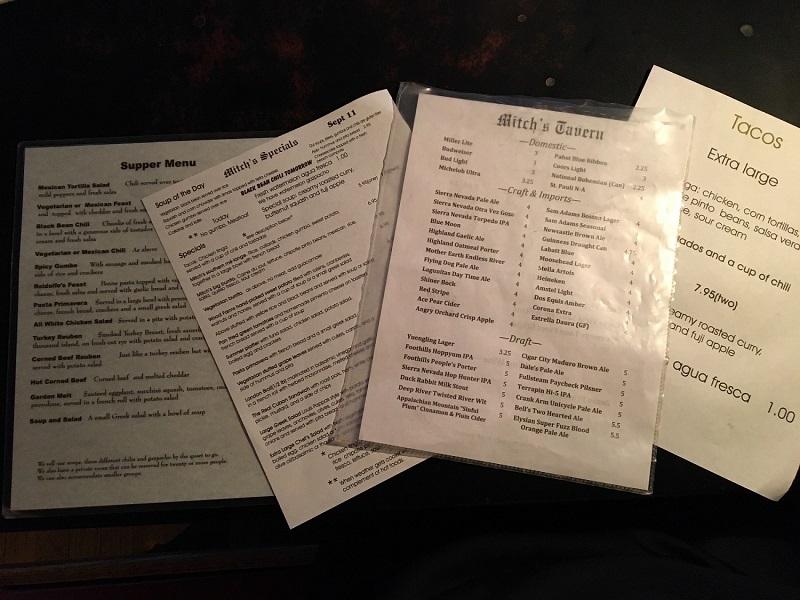 The hardest part about Mitch’s Tavern, other than finding it, is deciding what to eat. The menu is extensive with daily specials galore, all of which are very reasonably priced. I could not find anything on the menu priced over $10. It’s always nice to fill the tummy without emptying my wallet! After many minutes of staring at the awesome decor, the menus (that’s right there are multiple menus), and hearing my waiter's favorite dishes, I finally ordered the chicken tinga. The chicken tinga is well seasoned pulled chicken, with mexican rice, chipotle pinto beans, salsa verde, queso fresco, lettuce and sour cream served on a corn tortilla. 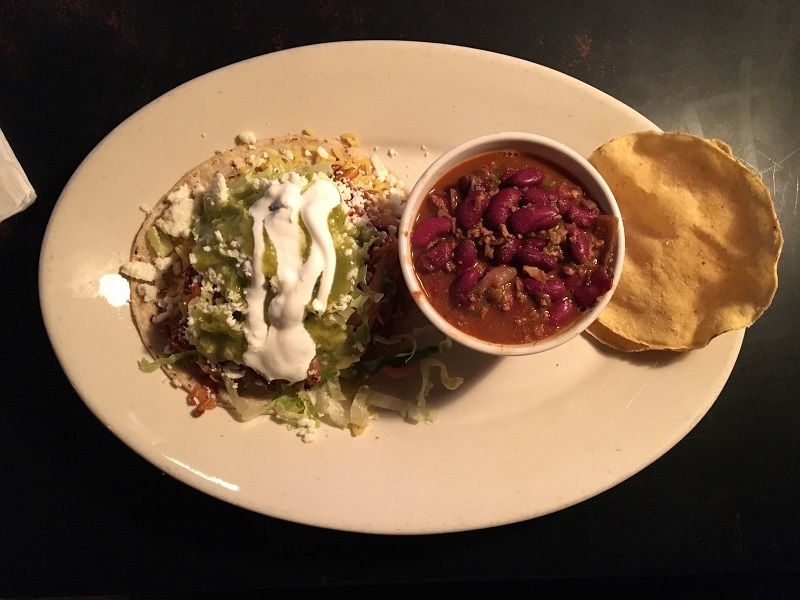 Did I mention that the delicious taco is served with a side of chili, because it most definitely is! If you are a vegetarian, there are no worries here because vegetarian chili is offered as an alternative! absolutely stuffed. Apparently there is a wonderful cheesecake option that I am excited to try on my next visit. 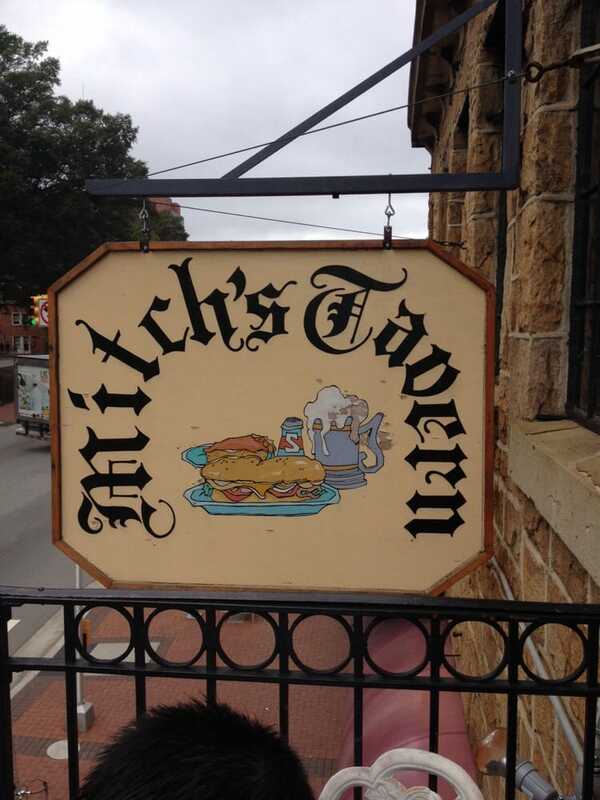 If you don’t have much of an appetite, Mitch’s Tavern could still be your lunch time drop in! Grab a quick brew and watch whatever game might be playing at the bar! The bartender on duty was camera shy but super cool nonetheless! Come out and support Mitch’s Tavern, located at 2426 Hillsborough Street Raleigh, NC, 27607. They have something for everyone!